Thanks to the approval of the new 10-Year Vision for TransLink which was approved by the Mayors’ Council, with some funding support from the provincial and federal governments, transit service is improving in the South of Fraser. 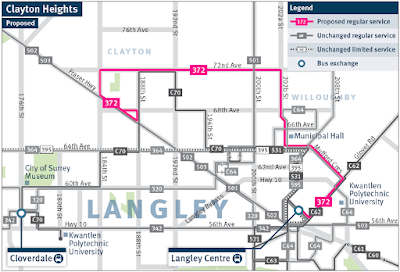 One of the areas where transit service needs improvement is in Clayton Heights in Surrey and Willoughby in the Township of Langley. TransLink recently introduced bus service along 208th Street. 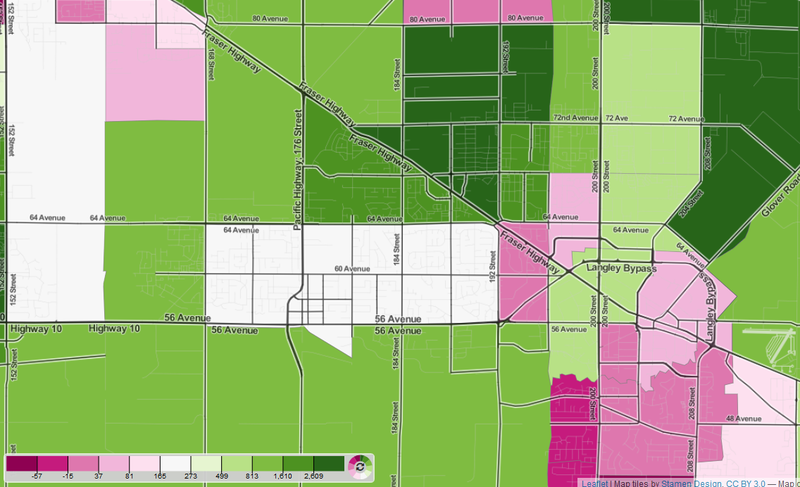 The transportation agency is now looking to introduce another bus service as shown on the following map. 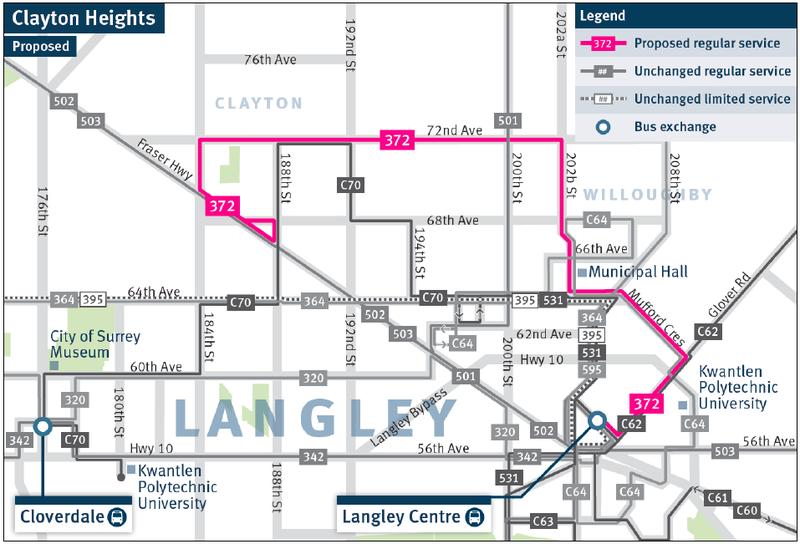 Map of proposed 372 Clayton Heights/Langley Centre bus route. Select map to enlarge. This proposed new transit service will be within walking distance of 19,000 people, and will give around 2,000 people access to transit who didn’t previously. The route will have bus service every 30 minutes from early morning until 10pm on weekdays, and until 9pm on weekend. TransLink is looking for public feedback on these proposed changes. You can submit your feedback on TransLink’s website until March 6th.